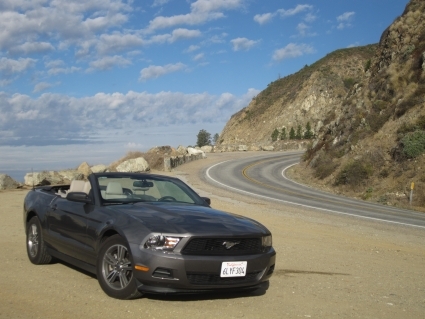 As I lower the roof on our convertible Ford Mustang, I feel that tell-tale rush of excitement that accompanies the start of something memorable. I’m about to tick off an entry on my all-time travel wish-list: driving Highway 1, the spectacular coastal route that winds its way from San Francisco to Los Angeles. Over the next four days a friend and I are going to tackle 700 kilometres of some of the world’s most scenic driving roads, stay in some of the country’s most awarded resorts and feast on California’s finest food and wine. There’s only one small problem: we have wildly different music tastes. I’m a Bruce Springsteen kinda guy whereas he (let’s call him Charlie to save embarrassment) has a curious penchant for 80s soft rock. We agree on a compromise. Whoever isn’t driving has control of the iPod.